(NC) They call it mood lighting for a reason. Whether it's a cozy and intimate den or a bright and functional work space, choosing the right location, wattage, and fixtures is one of the most important design decisions you can make. And with the news that incandescent light bulbs are being transitioned out across the country, now is the best time for a re-evaluation of your lighting needs. According to the experts at The Home Depot, the right lighting for every space is as easy as following these trusted tips. Setting the scene: Each room should have a mood that reflects its use. Direct or task lighting focuses on a workspace, like a countertop; and ambient or indirect lighting is used to create atmosphere, for example in a dining area. Remember to vary the brightness levels in different areas of a room to help prevent "lighting fatigue" which often occurs in shadow-less spaces, such as conference rooms. The layering effect: Using a variety of light sources in a room creates a multitasking space – from under cabinet kitchen lights for prepping meals to pendant lights for homework and casual entertaining. Start with ambient light to evenly illuminate, then spotlight work areas with directional lighting. Accent and decorative lights, such as chandeliers and lamps, bring it all together. Go for drama: Why not add a crystal chandelier to an ensuite bath or emphasize a wood-beam with focused accent lighting. Creating drama is all about up-lighting to focus attention on important elements like a fireplace, painting, or an architectural detail. Multi-directional: Consider using directional lightingon countertops, kitchen islands, dressers and seating areas to add interest. Reduce shadows without creating the “office” effect by training recessed fixtures on the table and chandelier in the dining area, or down-lights directly over sinks and vanities. 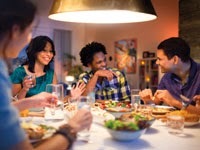 Dimming for dollars: Dimmers are the quickest fix for setting the mood and won't break the bank. And as the days get shorter and we need more lights on, switching to high efficiency bulbs will help reduce the monthly bills. In fact, why not try out the latest in LED, CFL, or halogen technology? The lighting department at The Home Depot has a wide selection of bulbs including the options from manufacturers like Philips and Cree. (NC)—As the cool weather sets in and the busy holiday season approaches, Canadians have travel on their minds. Before booking, a leading travel and service expert advises would-be adventurers to plan ahead in order to stay safe and stress free while vacationing at any time. Gerald Parent, the Director of Membership Travel at American Express Canada has seen first-hand the pain points that can quickly turn a travel dream into an unforgettable nightmare. In fact, last year alone, Amex helped solve 12,732 medical cases overseas. 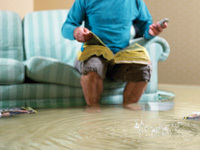 Some emergencies are unpredictable, but the most common causes of travel dilemmas come from those who are less prepared. • Be prepared: Be it a weekend away or a month long sabbatical, proper preparation before you leave ensures that you get full enjoyment from your trip while away. 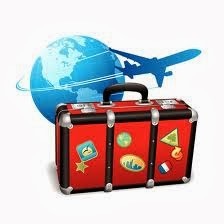 Be sure to keep copies of your travel documents, hotel bookings and itinerary so details are always at hand. • Get insurance: Hope for the best, but plan for the worst. Travel insurance is available to cover a variety of risk factors such as health and medical, cancellations, delays and accidents. The good news is that some credit card providers, like American Express Canada, offer free travel insurance if you book travel on your card. • Treat yourself: Upgrading to a better hotel or paying a little extra for a business class flight can make your time away feel all the more special. You don't have to break the bank to experience increased luxury; check out some of the perks offered by your credit card company or frequent flyer program and you might get the V.I.P treatment for free. More than half of Canadians rank a great smile as the top attraction when meeting new people. 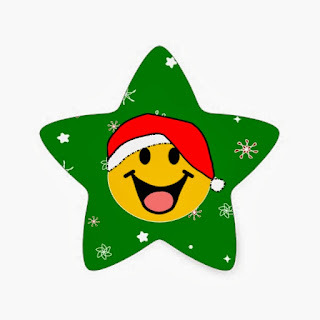 Here's how to make your smile a star. (NC) The New Year is the time for goal setting, personal rejuvenation, and feeling your best. According to a study conducted by Philips Sonicare a great smile is the feature 53 per cent of Canadians find most attractive when they first meet someone. Beauty expert Janine Falcon shares a few tips on spotlighting yours that will help you sashay through the new year. • Winter-proof your lips to keep them smile-ready. Buff away dry patches with a washcloth dampened with hot water, then immediately apply a buttery, squeeze-tube lip balm rather than a waxy stick. An emollient formula such as Jack Black Intense Therapy Lip Balm SPF 25 blankets even cracked lips with a soothing layer of conditioning protection. • Keep teeth in top shape with a solid regimen that includes brushing twice-daily, flossing before bed, and an antiseptic mouthwash every day. Use a high-tech power toothbrush such as the Philips Sonicare DiamondClean, which is clinically proven to deliver whiter teeth in just one week. • For those of us who forget to floss on a regular basis, try the Sonicare AirFloss, which cleans between teeth with micro-bursts of air and water. You can do your whole mouth in 30 seconds. Get your mouthwash step in at the same time by substituting it for water in the reservoir. • Women should wear bright lip colour with a blue undertone to make teeth look their whitest. Try long-wearing Make Up For Ever Aqua Rouge #8 Iconic Red, a universally-flattering shade. • Stash a portable whitening pen in your purse for stealth smile brightening. The Philips Zoom Whitening Pen is ideal to quickly enhance your smile. According to the Bloomberg Nanos Canadian Confidence Index, Canada’s economic mood rebounded last week as consumers head into the holiday season buoyed by rising house prices. The weekly sentiment measure increased to 59.3 in the period ended Dec. 6, up from 58.9 the week before. The index has climbed from 54.8 at the end of May and is approaching a one-year high of 59.8. The share of respondents who think real-estate prices will increase over the next six months rose to 40.3 from 40.0 the previous week, reaching the highest level since March 2012. 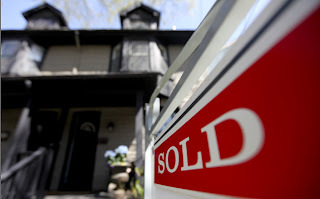 “Canadians are poised to finish 2013 with more buoyant consumer confidence which is more likely to be fuelled by increasingly positive views on the value of real estate,” said Nik Nanos, head of Ottawa-based Nanos Research Group. 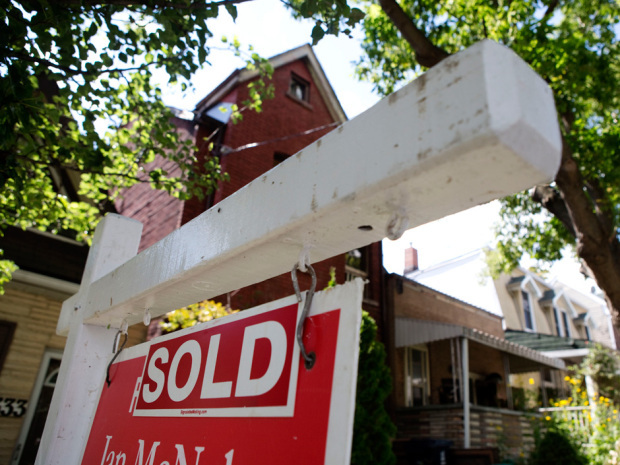 Even though policy makers take steps to cool growth, Canada’s housing market remains strong. Brian Bell, a former senior executive at one of Canada Mortgage and Housing Corp.’s competitors, says it’s time for mortgage default insurance premiums to drop as much as 15% because the Crown corporation doesn’t have the same percentage of risky clients due to tighter loan regulations. 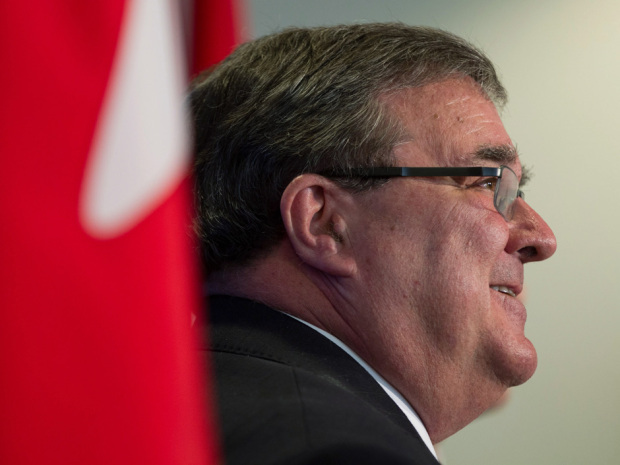 A move he says will provide much needed relief to the first-time home buyer. Click here to read more from the Financial Post. . .
End of yet another year is fast approaching, there are some financial considerations to ponder and proactively look now to maximize future gain. 1. Top up your TFSA's. 3. Make a Charitable Donation before Dec 31. 4. 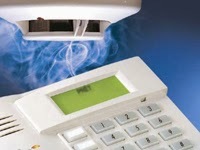 Prepay expenses eligible for tax credits. 5. 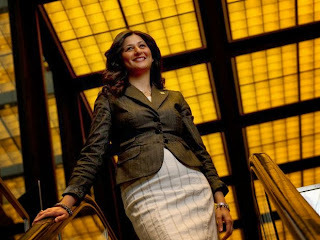 Maximize the effectiveness of RESP's. 6. Age 71 this year? Convert RRSPs to an income option. Click here to read more about the above tips. We have been seeing some of the best mortgage rates in Canadian History. 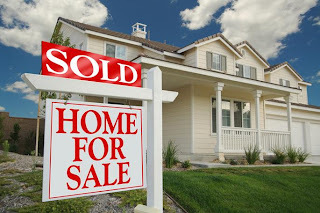 Because of these low interest rates consumers have made the jump on home buying and in return seemed to have turned around the housing market. 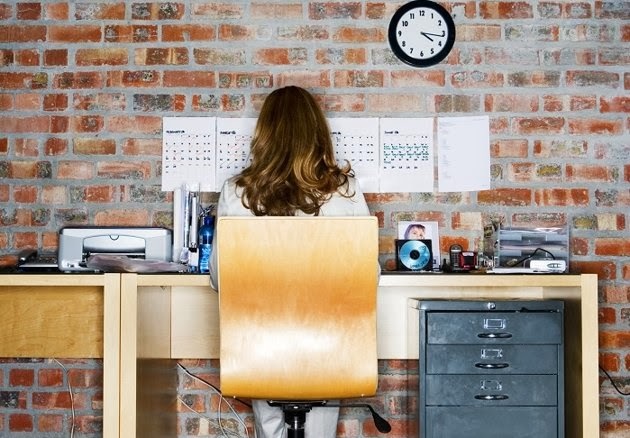 The banks may start taking a closer look at your finances if you are self-employed. 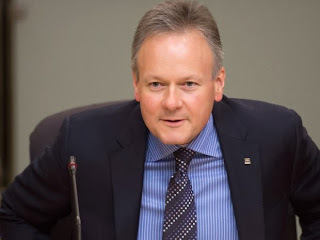 Stated-income customers, or the self-employed who don’t come to their bank officer or mortgage broker with a government tax form with their income on it seem to be in cross-hairs. What has changed is the examination of that stated income. The banks want to see the cash flow going in and out of accounts, a net worth where you can track the history. 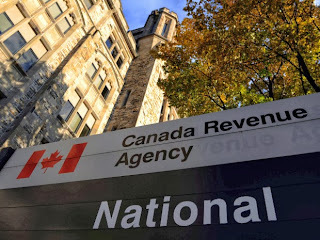 Tax time obviously has come and gone, however now it’s the Canada Revenue Agency’s turn to review millions of tax returns. Because of the number of small and medium-sized businesses (SMBs) continue to grow, CRA is paying particular attention to these returns to make sure tax rules are followed. No matter how big or small you are not immune....if you’re open for business, the CRA is watching. Click here to find out how to be prepared when filing your taxes. 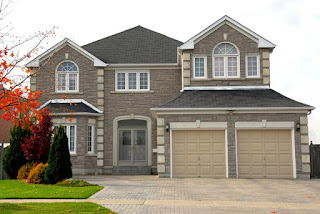 According to Stats Canada 7 in 10 Canadian households own their homes, this number has not changed over the recent years. A 2011 National Household study showed that approximately 9.2 million households were owners, thus putting the homeownership rate at 69%. While not directly comparable, the findings indicate a similar level of ownership to the 2006 census, which revealed a homeownership rate of 68.4%. As per the latest data, his trend of rising homeownership rates continues to rise over the last several decades. 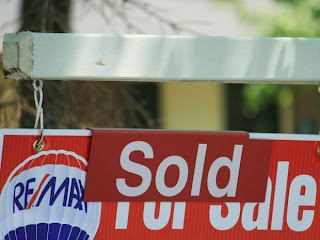 Click here to read further about home ownership in Canada. And by year-end, those calculations will get even more conservative. 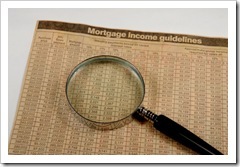 On June 27, CMHC issued new guidelines for calculating debt ratios and confirming income documents. 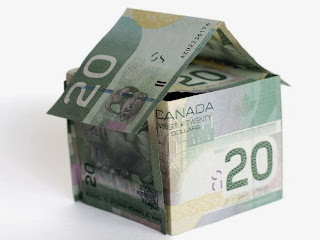 “Under current practice, CMHC stipulates standard formulas for calculation of debt service ratios but has not been specific as to how each key input is to be treated,” says CMHC spokesman Charles Sauriol. 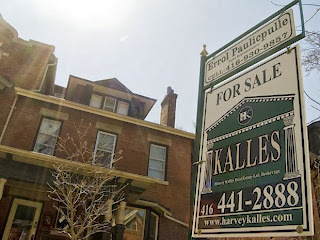 TORONTO, June 25, 2013 /CNW/ - After three years of varied periods of growth and decline across the country, the Canadian housing market is starting to stabilize, according to the latest housing report released by Genworth Canada. 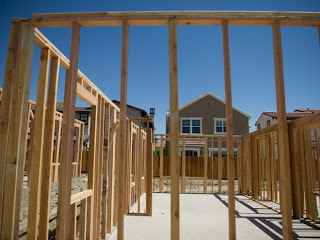 While the economy continues to strengthen, modest growth in the housing market is the trend for the next five years. "The Canadian housing market is transitioning to a balanced level of supply and demand," said Brian Hurley, Chairman and CEO of Genworth Canada. "While lower demand has cooled the housing market, this latest research shows moderate growth over the next few years which points towards a more stable market for both buyers and sellers." The current condition is due in part to the tightening of regulations, but also continued warnings to consumers on their debt levels. Consumers appear to be heeding the advice and stabilizing their financial position before the Bank of Canada begins to raise its rate. The Spring 2013 Metropolitan Housing Outlook notes that healthy employment gains since the end of the recession have helped move mortgage payments in arrears and bankruptcies to a downward trend, except in British Columbia where payments in arrears have flattened after an upward trend from 2008 to 2010. Despite the low interest rates, price growth for both new and existing homes has been decelerating. The report also notes that while total mortgage approvals are falling, this decline is entirely fuelled by resale homes, as mortgage approvals for new homes increased by 3.4 per cent. 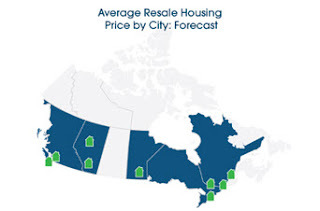 To read more about the Canadian Housing Market - click here! Read on by clicking here for the rest of the story. 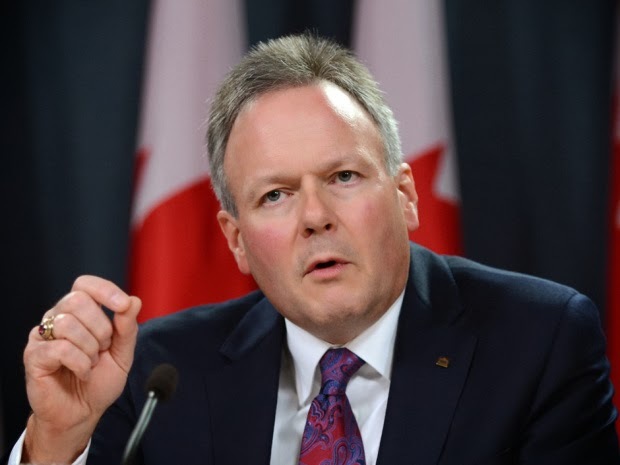 The currency strengthened against the majority of its most-traded counterparts along with those of its commodity-exporting peers after Canadian building permits rose for a fifth straight month. 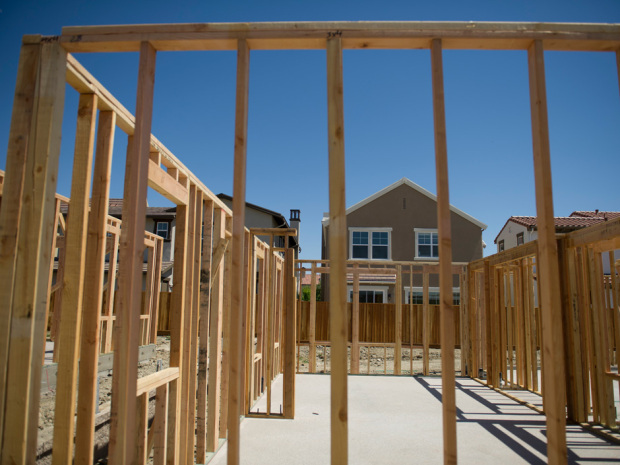 A report Tuesday will show work began on 188,000 homes in June compared with 200,178 the month before, according to a Bloomberg survey of 21 economists. 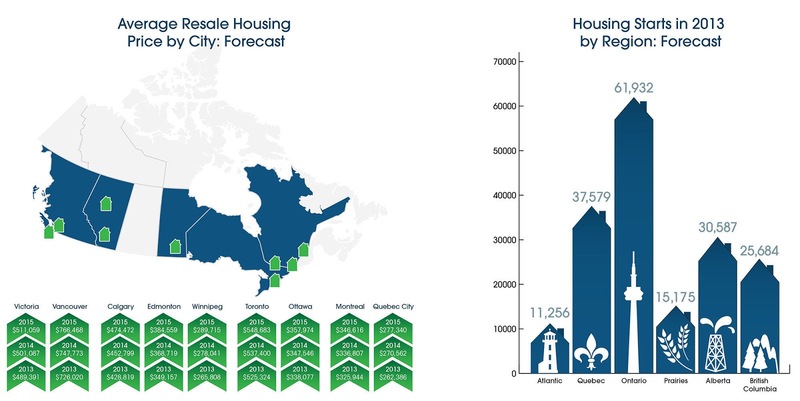 This year Canada has averaged 179,400 new homes each month. The loonie, as the Canadian dollar is known, rose 0.3% to $1.0553 per U.S. dollar at 10:17 a.m. in Toronto. The loonie touched $1.0609 per U.S. dollar July 5, the weakest since October 2011. One loonie buys 94.76 U.S. cents. To read more.... click here!!! Canadian home sales were up 3.6 per cent in May over April as one of the more unusual and unpredictable spring markets took hold across the country, but transactions were off 2.6 per cent year over year, according to May sales numbers released Monday by the Canadian Real Estate Association. 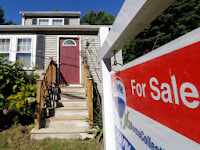 Prices were up 3.7 per cent year over year with the average Canadian house price at $388,910 in May, up from $375,062 a year earlier. The month over month increase in home sales was the biggest gain seen in more than two years, according to CREA. 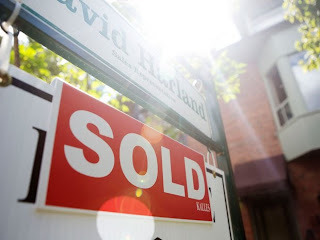 “The increase lifted national activity almost to where it had been just before new mortgage rules came into force last summer, marking the first noteworthy increase in the past nine months,” the national housing association said in a statement Monday. Virtually every major urban centre, including Toronto where prices hit a record $542,174 in May, up 5.4 per cent from May of 2012, saw an improvement in home sales, says CREA. 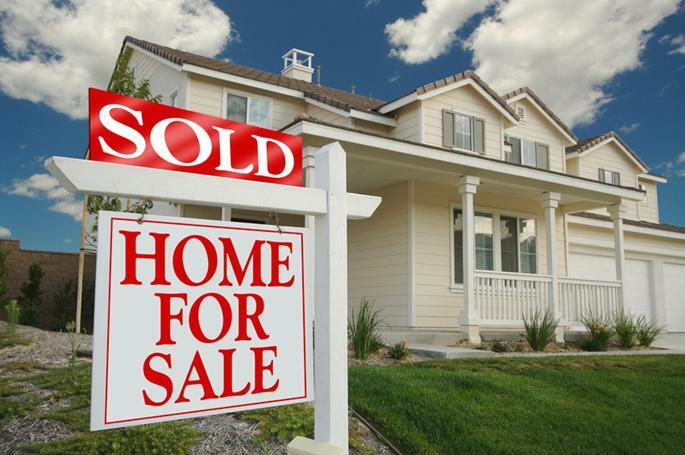 May and June are typically the biggest months for home sales. 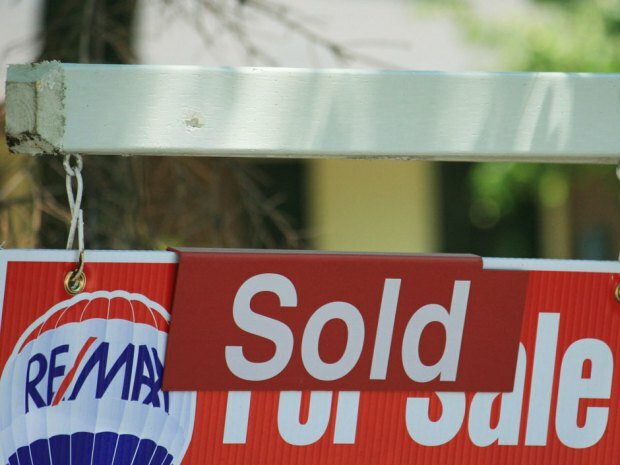 The number of homes listed for sale was up almost 2 per cent. 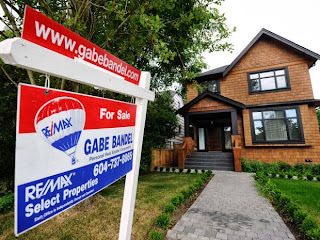 “The pop in Canada’s resale housing numbers adds one more to a series of upbeat economic indicators that exceeded expectations in recent weeks,” said CREA economist Gregory Klump. Click here to read further. . .